Best Table Tennis Bats for Beginners | Khelmart.org | It's all about Sports. Table Tennis Bat for beginners to be selected carefully. Checkout the blog on how to select the TT Bat. TT racket is the combination of wooden ply , rubber fix on it and a handle which is hold by player. Weight of blade should be around 70 to 100 gms. Handle of TT bat should carefully selected based on player’s playing style. Flared handle is something which is very common for all round type of playing style. Most of the beginner level TT rackets comes with pre fitted rubber. Parameters of rubber affect the playing characteristics. This Table Tennis racket is designed for intermediate to advance TT Players. This model is designed with lightweight and well balanced ply which gives superfine control to players. It is easy to handle racket which will provide you fast racket handling and you can perform quick forehand shots. With this TT racket, player will get maximum power, control and spin. 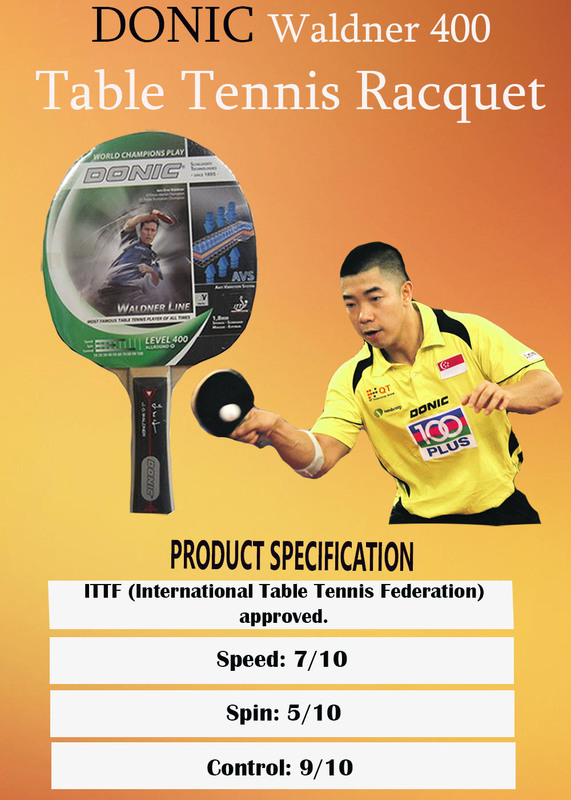 With 70 speeds, 70 Spin and 95 controls, this ITTF (International Table Tennis Federation) approved TT racquet is a perfect option at economical price range. Player with offensive playing style is will opportunities to improve the game while you can test you key defensive skills with this racket. 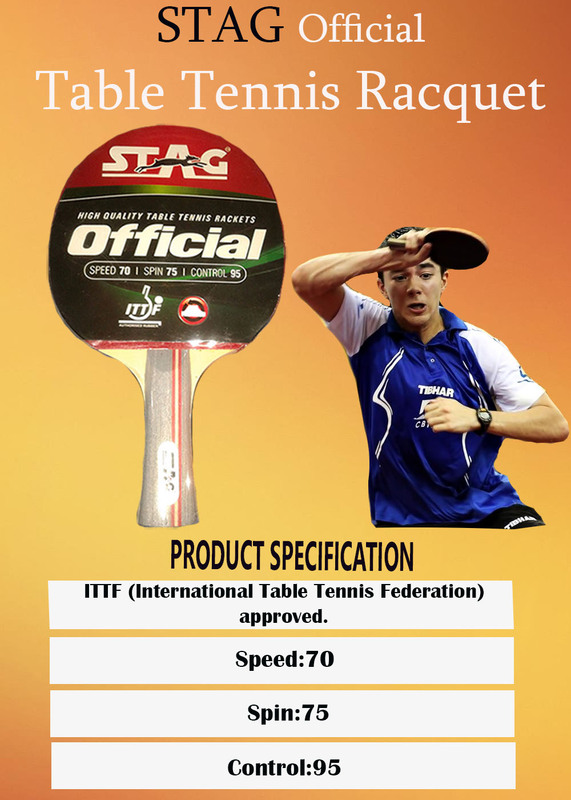 Stag is world leader in precise manufacturing of the table tennis equipment and this racket proves it. If you are more than a beginner and never tried Stag racket, you should try this one. Rubber is the part of Table Tennis Blade which comes directly in contact with ball so it will play crucial role in decide the ball speed and spin. 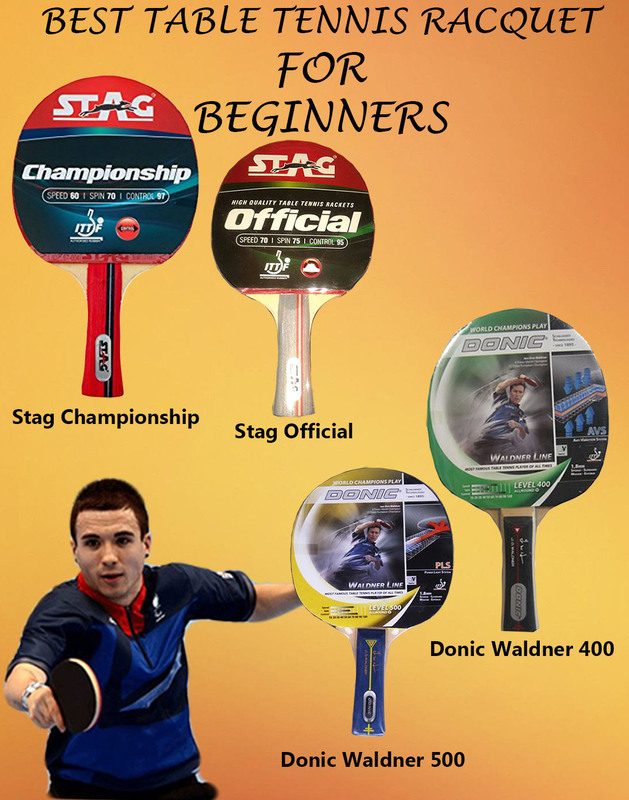 All the Stag Table Tennis Rackets are manufactured at Stag Meerut and are of superior quality. 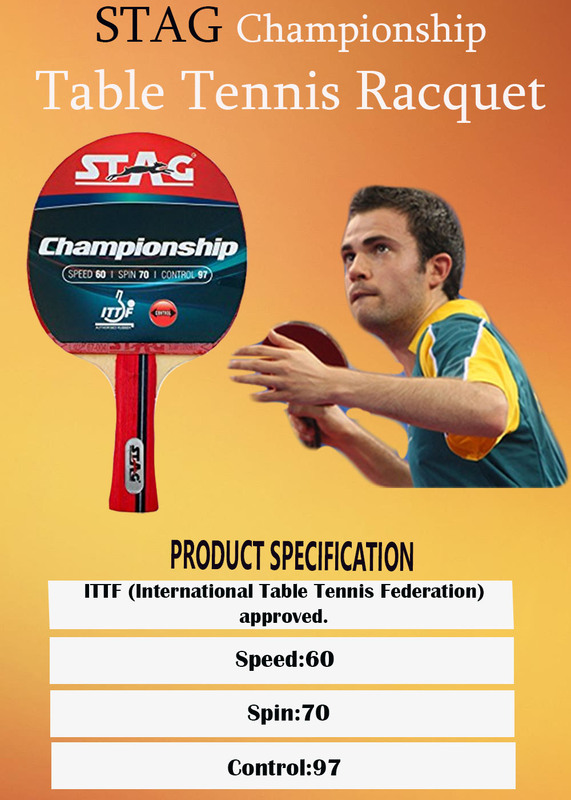 Stag table tennis equipments are manufactured with state of arc and advance manufacturing facility. These equipments are passed with intensive quality control system to give you best sports equipment every time. More Details and Price . Donic Waldner series table tennis rackets are endorsed by Jan-Ove waldner many times world champion. This table tennis rackets series is specially designed for aggressive players. Donic Waldner 500 is manufactured with 2 high quality carbon layered with wooden carbon plies to more power and speed on shots in game. Donic used 5 plies configurations for this racket which is glued with innovative technology to give you well balanced, more power and speed. A Balanced and Spin TT bat will help in playing effective shots which will be results into good control and spin. This Table Tennis racket handle is equipped concave handle style. This type of handle will provide better grip. Donic used Donic Rubbers (High Quality TT Rubber used for professional play) with 1.8 mm thickness and this rubber is ITFF approved. Rubber is prepared with new and innovative way which will provide super fine playing surface with optimum speed and spin. Donic Waldner 500 racket gives you 70 Speed, Spin 60 and Control 90. Donic Series Table Tennis Racket is equipped with these features: – PLS (Power Light System). This entry was posted in Table Tennis and tagged Best Table Tennis Bats for Beginners, Details of Best Table Tennis Bats for Beginners, Images of Best Table Tennis Bats for Beginners, Specification of Best Table Tennis Bats for Beginners. Bookmark the permalink.